The food and drinks giant hooks up with online meal kit marketplace Chef'd, but is it too late to the game that already features a host of high-quality do-it-yourself options. Want food delivered to your door, but you still want to cook it yourself? Well, two years ago you would be hard-pressed to find another option outside the $3 billion, startup Blue Apron, a company that is reportedly gearing up to take itself public in the coming months. But now the meal-kit delivery industry (yes, it's a thing) is littered with competitors hawking everything from gourmet burger recipes to artisanal Asian cuisine. "I think meal kits with more niche offerings actually have a better chance of surviving in this market than ones with broader based offerings, assuming they can reach a large enough market which will just take a different approach to outreach," said Bill Bishop, chief architect at Brick Meets Click, a consultancy and analyst firm that focuses on the intersection of traditional and online grocery retailing. The everything-in-a-box meal kit delivery services have exploded over the years. 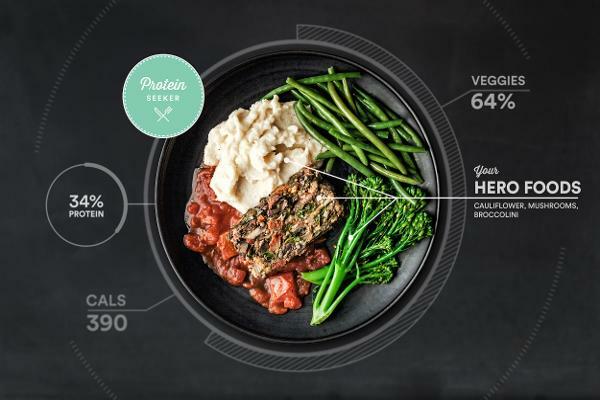 With Netflix (NFLX - Get Report) a click away and increasingly chilly weather, meal kit services broaden their appeal to consumers who would rather enjoy restaurant-quality meals from the comfort of their home. A report on the meal kit industry by Packaged Facts, a market research company, conjectures that "the U.S. meal kit delivery services market will generate approximately $1.5 billion in sales in 2016 and will grow to a multi-billion market over the next five years." And now, even big food makers are getting in on the action. PepsiCo ( PEP - Get Report) said Tuesday, Dec. 6, that it has hooked up with online meal kit marketplace Chef'd to deliver three Quaker Oats-branded meals, all featuring the brand's trademark oats as the star. People who order the Quaker Oats-inspired meals receive all the necessary, pre-portioned ingredients and step-by-step instructions for making the meal. The meal kits, which will cost $10 for a serving of two, will also include a mason jar as well as additional oats-inspired recipe cards. Candy maker Hershey ( HSY - Get Report) has also joined forces with Chef'd, and in September launched dessert kits on Facebook Live. Campbell's Soup ( CPB - Get Report) is using Ahold Delhaize's (think Stop & Shop) grocery delivery arm Peapod to deliver meal kits that could help someone make a curry sauce from its condensed cream of mushroom soup and a few other basic ingredients. Experts believe that the newly emerged industry has the potential and power to disrupt the brick-and-mortar restaurant and grocery industries, which have been giving off some warning signs lately due to competitors like meal kit and online grocery delivery services. While the industry has grown to be a seriously competitive force to be reckoned with, not every single meal kit delivery company will gain a strong foothold in the market. "The largest companies are likely to go public. There will be some consolidation of smaller marketers as some go out of business due to poor execution, and others are absorbed by mergers and acquisitions," wrote Susan Porjes, senior market analyst at Packaged Facts. 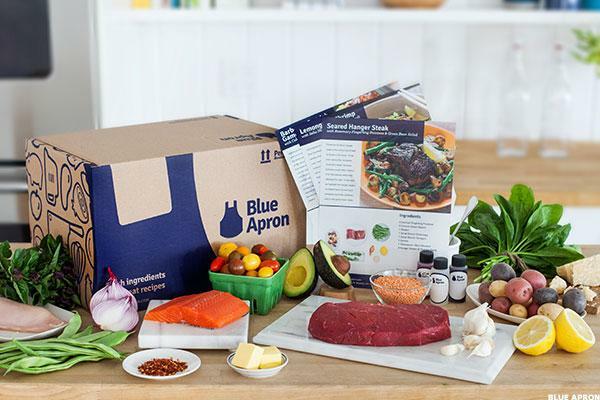 And as Blue Apron, the unspoken meal-kit delivery service leader, tries to deal with its reputation loss after a Buzzfeed News investigation exposed reports of violence and code violations at one of its packing facilities in Richmond, Calif., a proliferation of contenders are jumping on the bandwagon to join what is now a highly competitive meal kit delivery industry. Since CEO Andy Levitt founded the company and shipped the first batch of vegan meal boxes from his garage two years ago, Purple Carrot has earned a spot as the only plant-based meal kit company alongside major players in the industry. After spending 20 years in the pharmaceutical sector, Levitt was looking for his next big opportunity when he watched and was subsequently inspired by the documentary Forks Over Knives in which researchers explore the possibility that people changing their diets from animal-based to plant-based can help eliminate or control diseases like cancer and diabetes. 2016 has been an epic success for Purple Carrot, having grown 700% ahead of where they were in 2015. 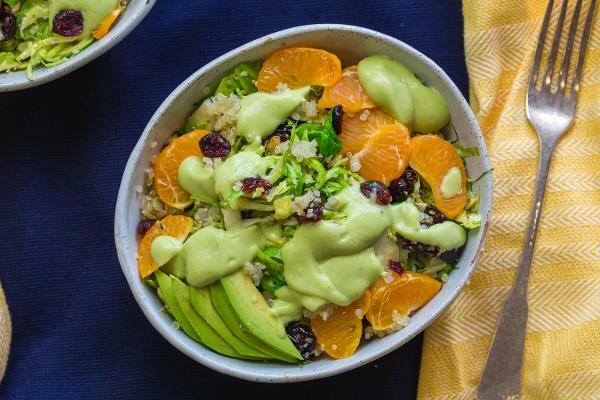 Levitt believes that the company, being at the center of some very positive trends, principally plant-based eating, will have an even bigger 2017. "I think it's most interesting along the edges and that's why we are really excited about our spot, " said Levitt in a phone interview. "Because the edge is where people pay attention and we are confident in our ability to attract a lot of consumers who are currently omnivorous or certainly flexitarian in their eating habits to align them to the value that we offer at Purple Carrot." The Boston-based company announced a partnership with Whole Foods Market Inc. (WFM on Wednesday Oct. 26 through which Purple Carrot meal kits, discounted at $19.99, are now sold at the grocer's Dedham, Mass., store. Initial meal choices will be Mongolian Seitan Stir Fry, Pan Seared Tofu and Black Rice Noodles, and Cashew Korma with Cauliflower Rice. The newly launched national burger delivery service finds its roots in the quirky and humorous Boston Burger Co., which is known for their creative burgers such as the "Artery Clogger" and "Mac Attack," a homemade four-cheese mac & cheese, bacon burger that was featured on Food Network's "Diner's, Drive-Ins, and Dives" with Guy Fieri. 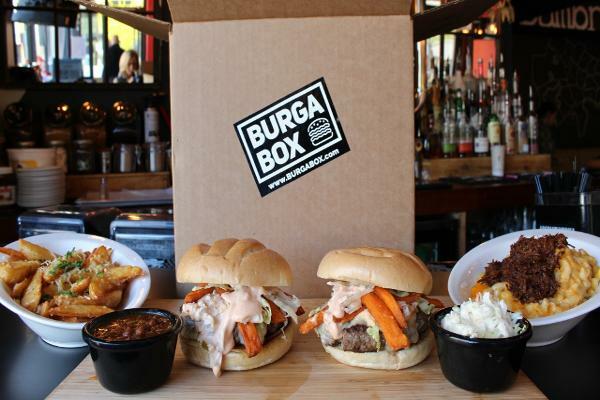 "People are already coming into our restaurant and we knew that people liked what we did in the restaurant," said Chuck Sillari, founder and co-owner of Boston Burger and BurgaBox. "Imagine if they've got the ingredients and they can get them shipped to their home to make all the crazy burgers that we do in the restaurant." BurgaBox came about when Chuck Sillari, Paul Malvone, and Sebastian Fricia, the three founders and owners of Boston Burger Co. saw what's inside a HelloFresh box that was delivered to one of their employees in the office one day. "I really couldn't believe that people were getting groceries shipped to their houses by FedEx to avoid going to the supermarket," said Sillari, who instead came up with the idea to give people the option of "a cheat day in a box" instead of "a skimpy health conscious meal." The Boston-based food startup now ships about 200 boxes nationwide per month. The packaged $15 per meal burger box is a favorite among people who went to college in Boston and have since moved to other states. Former food writer Debbie Soo moved from Hong Kong to New York two years ago. While looking for her next opportunity in the New York food industry, Soo noticed that only meal kit startups were hiring. Her meal kit delivery startup, Feastive, is inspired by sharing-focused Asian meals like Chinese hot pot and Japanese sukiyaki. Soo taps into the relatively unexplored market of group-centric, experience-based meal kit service by only offering packaged kits with a jumble of exotic Asian ingredients that cater to a minimum group of four. Consumers less familiar with Asian stews can also order make-your-own sushi meals and build-your-own vermicelli bowls. "All of our meals share that ethos upon sharing and basically bringing people back together to the dining table," said Soo, CEO and founder of Feastive, who believes that her company provides a perfect dinner party life hack to those who want to host adventurous at-home parties without the hustle of planning and purchasing at a granular level. Feastive boxes are priced as a minimum group of four at $30 per person, with each box starting at $120. The company is not profitable yet but Soo hopes for greater volume as colder weather and the holiday season prompt more people to get together with friends and family over shared meals at home. Habit is the new brainchild of entrepreneur Neil Grimmer who previously founded Plum Organics, the second-largest baby food brand in the U.S. before being sold to Campbell Soup Company (CPB - Get Report) in 2013. The startup that hasn't even joined the game already plans to revolutionize the game by delivering meal kits based on an individual's unique biology, metabolism and personal goals. So how does it work exactly? The company plans to collect genetic data on its customers through home blood-testing kits, which will be returned to labs where the DNA and measures levels of nutritional markers in customers' blood are analyzed. The test results will then allow Habit to deliver meal kits to customers based on their personal dietary recommendations. Campbell's Soup is the sole investor for the company, contributing a sizable $32 million to the startup that has already built a wait-list for adventurous meal kit consumers. "The entire food industry is being transformed by the fusion of food, well-being and technology," said Denise Morrison, Campbell's president and CEO in a statement released on Oct. 25. "Habit is well positioned in this wired for well-being space and poised to lead the personalized nutrition category. Campbell's investment is part of our broader efforts to define the future of food, which requires fresh thinking, new models of innovation, smart external development and venture investing to create an ecosystem of innovative partners."